It was a shock to hear of Stephen Butcher’s death on May 1 aged 89. The leader of Craven District Council, Cllr Richard Foster, said that Stephen really cared deeply about the people and landscape of the area. It was that which led him to be a founder member of the Association of Rural Communities (ARC) and its chairman for several years. James Butcher told those who attended his Dad’s funeral at St Peter’s Church, Rylstone, on May 18 that Stephen was born in Keighley and had a strong Christian belief throughout his life. When at Sedbergh school he had developed a love for sport, particularly rugby and cricket, and academically had great talent for English and the Classics. Stephen had moved to Fleets Farm when he was five-years-old, after his father (a solicitor) had bought it. He might have chosen another career if his father had not been so keen for him to farm. James said: “He embraced this with enthusiasm and committed himself to farming. He studied agriculture at Cirencester and was inspired by what he learned there. “In 1962 Dad had met and married the woman who would stand beside him for 56 years. Mum and Dad made a wonderful team and provided a great deal of inspiration and support to us three children and their seven grandchildren over the years. “We take comfort that he was still fully active in mind right at to the end although a life in farming had left his body jiggered, his knees, hips, back and shoulders worn out. But his wicked sense of humour, strong mindedness and integrity never faltered. “His success with the [Fleets] herd was immense and the herd’s blood lines influenced Charolais breeding world-wide. His ultimate accolade was to breed both bull and cow – the Charolais pair that won the Burke trophy interbreed championship at the Royal Show, something unique. Nobody ever did that again. Stephen served on many farming committees both nationally and locally and was a member of Craven Cattle Mart for 40 years. As its chairman, James said, he had steered the Mart through its move from the town centre to a new site. “After retiring from full time farming he came off the board of Craven Cattle Mart and we were worried about how he would cope with the transition. We shouldn’t have worried. It was really the start of a whole new positive era of his life. We were immensely grateful for his unstinting support and his continued interest in the farm. “He was encouraged to stand as Craven District Councillor and was voted on as a councillor for Calton Ward. Dad always took his responsibilities seriously whatever committee or organisation that he represented. He refused to be a Yes man, was strong minded and principled, despising unnecessary red tape. “He soon found his natural forte was planning matters firstly with Craven District and then the Yorkshire Dales National Park’s planning committee. It didn’t matter who you were – friend or stranger. If you approached Dad for help, he would listen to your case, investigate it diligently, and if he thought it was right, he would support you. It’s only in recent days, reading your letters, that I realised quite how many people of all backgrounds and situations Dad had helped. Stephen had many other interests. He acquired his love of cars from his father and at Cirencester became friends with the racing driver, Jack Sears. He went on to race saloon cars at amateur level rubbing shoulders with the likes of Stirling Moss, James said. He never lost his love of fast driving or his adventurous streak. He liked skiing, sailing and travel, and went on a trekking holiday on the Everest base route. And back at home he enjoyed painting, wood turning and gardening. He and his wife participated in all aspects of local community life. 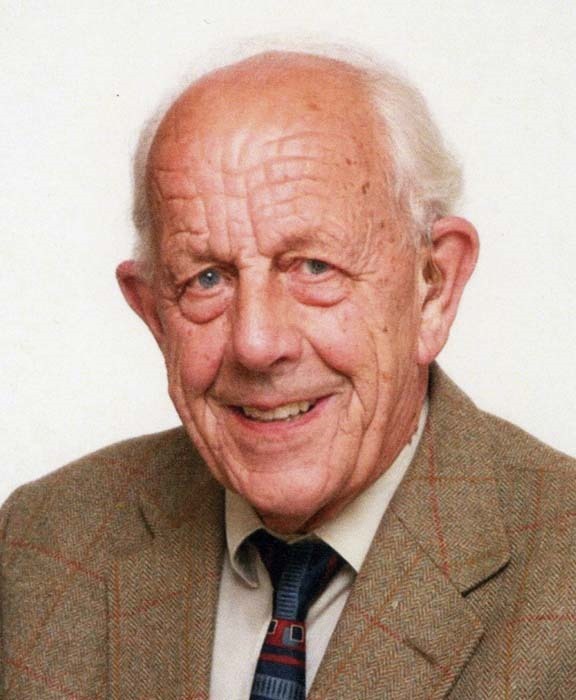 He played cricket with the Kettlewell team, was a regular performer in amateur theatre productions, and was an early member of the Upper Wharfedale Fell Rescue providing support by using his four-wheel drive tractor and jeep. Stephen first became a member of Craven District Council when he was elected for what was then the Calton Ward in 1994. He then represented the Gargrave and Malhamdale Ward from 2002 until his retirement from the district council in 2012. He was chairman of the district council from 2001 to 2002, and served on various committees including planning, licensing, community services, economic development, regeneration and development, environmental services, and estates and leisure. Stephen represented the district council on various bodies including the Yorkshire Dales National Park Authority from 1998 to 2002, and again from 2006 to 2012. We on the ARC committee will miss him greatly.